Last edited by Iceman; 10-10-2018 at 03:31 PM. 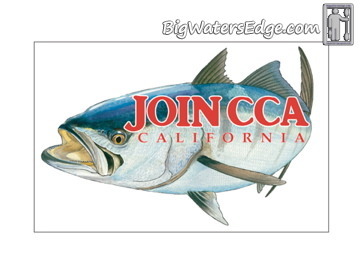 Awesome, Might do the Santa Monica Bay and Channel islands events. Any thoughts or stance on going outside of the harbor? You can go as far as your drive will take you during that time...live and dead bait is allowed. I’m gonna get me one of these. I want that Bixpy. One question though. Is there an age limit? I’m thinking about bringing my 9 year old with me this year. He was bummed I didn’t take him last year. Nope...no age limit if the kid has a parent to sign the waiver. We had two kids in the King Harbor event last year. WOW... what a great response to the PHENIX rod drawing for the first twenty to sign up at each event. The Mission Bay tourney has 7 anglers registered yesterday...13 more and I'll pick a winner for your choice of one of these 4 rods. Signed up as soon as I saw the email yesterday for Mission Bay - hopefully it won't be Victory at Sea like it was last year. Thinking I'll also try Dana Point this year instead of King Harbor - shorter drive. Hey fellas I donated this to the Mission Bay Battle of the Bays... Blue Flame Calico....See ya there! I'm signed up for the Mission Bay event. Hopefully it won't be blowing like last year. Thanks for all the work that you do for these events and the CCA.